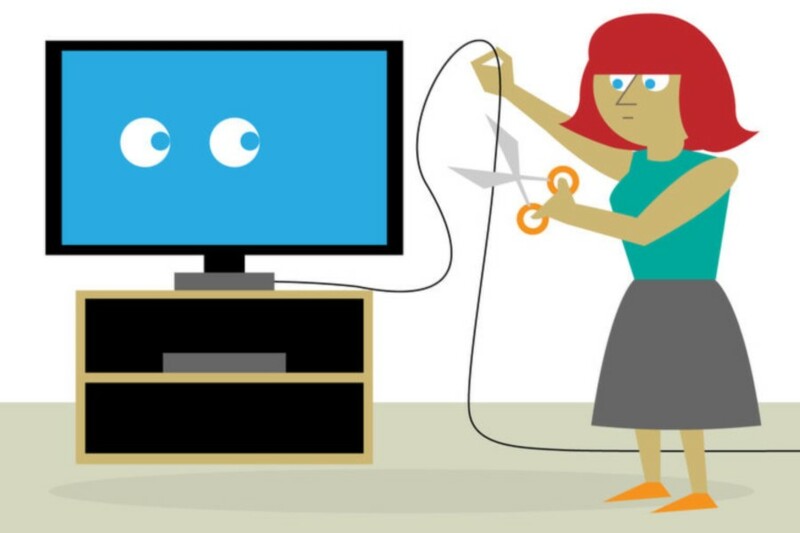 Internet TV – A Threat To Pay-TV Model. Internet TV is gaining acceptance and being preferred by customers in the developed markets. The traditional pay-TV industry has been facing severe competition from online video streaming service providers. The low-cost video streaming service providers are threatening the pay-TV business model and forcing traditional pay-TV service providers to offer internet TV services to their subscribers. For example, DISH Network Corp. has launched the internet TV service Sling TV along with their pay-TV services. 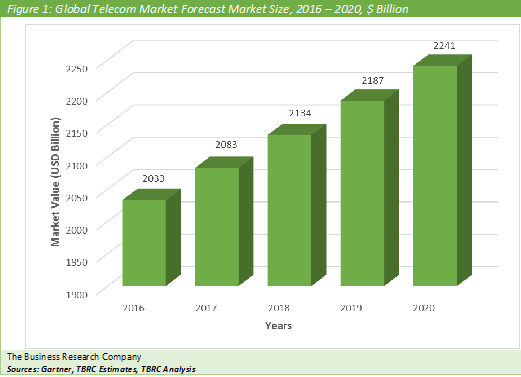 TELECOM MARKET TO GROW TO $2.2 TRILLION BY 2020 ACCORDING TO THE BUSINESS RESEARCH COMPANY. The telecom market is expected to grow from $2 trillion in 2016 to $2.2 trillion in 2020 at a compound annual growth rate (CAGR) of 2.5%. The Americas was the largest region in the telecom market in 2016, accounting for $716 billion. The Americas is the largest market because of high internet penetration, access to smart phone devices and advancements in the technology. According to The Business Research Company’s Technology Consultant, Moin Mohammed, IoT technology adoption by manufacturing and transportation services companies is driving the software and BPO services market in the forecast period. IoT is a network of physical objects such as devices, vehicles, buildings and other items which are embedded with electronics, software, sensors and network connectivity enable these objects to collect and exchange data. For instance, Microsoft and Rolls-Royce have announced a partnership centering on future Rolls-Royce intelligent engines, which will integrate Microsoft Suite into its service solutions to expand its digital capabilities. Smart Grid encompasses inter related technologies entering public use to manage electricity consumption. Thus, IoT technology adoption is expected to expand the demand for telecom services. AT&T was the largest wired telecom carrier with revenues of $146.8 billion for the financial year 2015. AT&T’s growth strategy is to broaden its TV presence through DIRECTV and increase its presence in Latin America and Mexico. The telecom industry is a part of the information and communication technology industry. The industry is primarily engaged in operating and providing access to facilities for the transmission of voice, data, text and video.